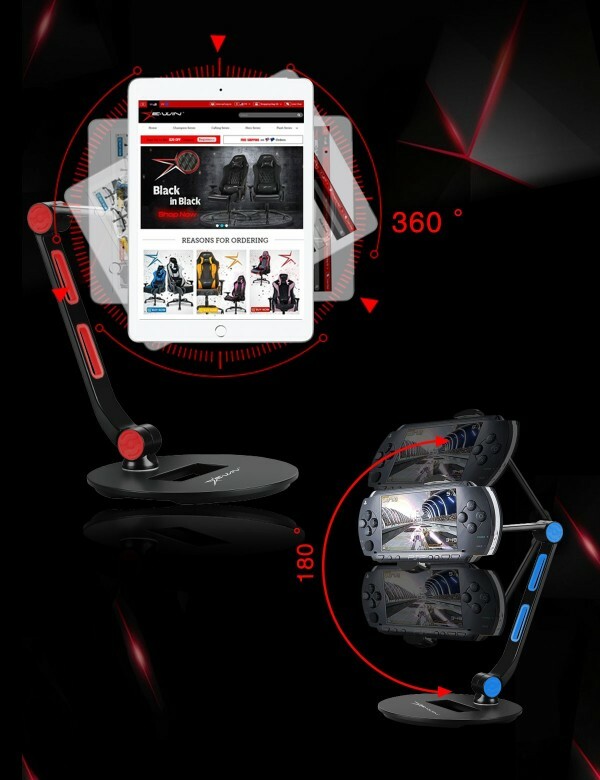 ➤ Adjustable phone/tablet stand with 7 adjustable parts and 360 degree rotation to customize the perfect mounting position for your use. 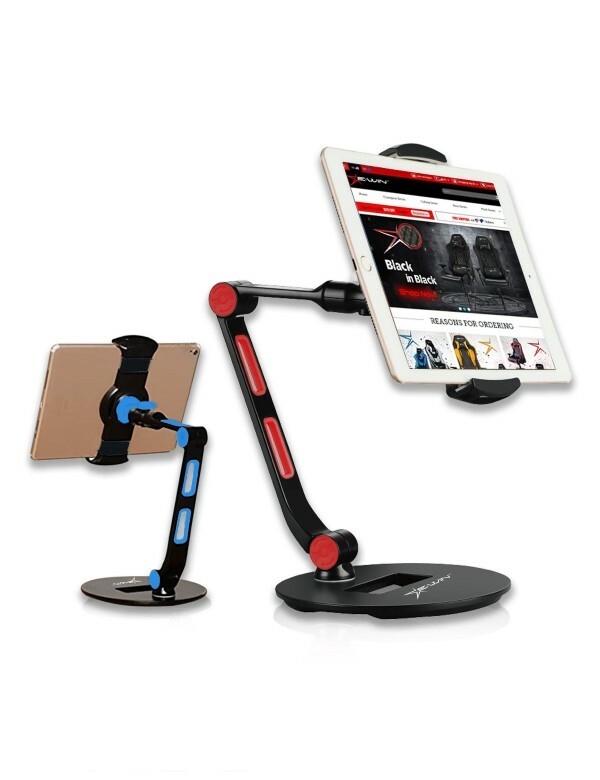 ➤ The stand is ideal for all Apple iPads, iPhones, Android tablets and phones. 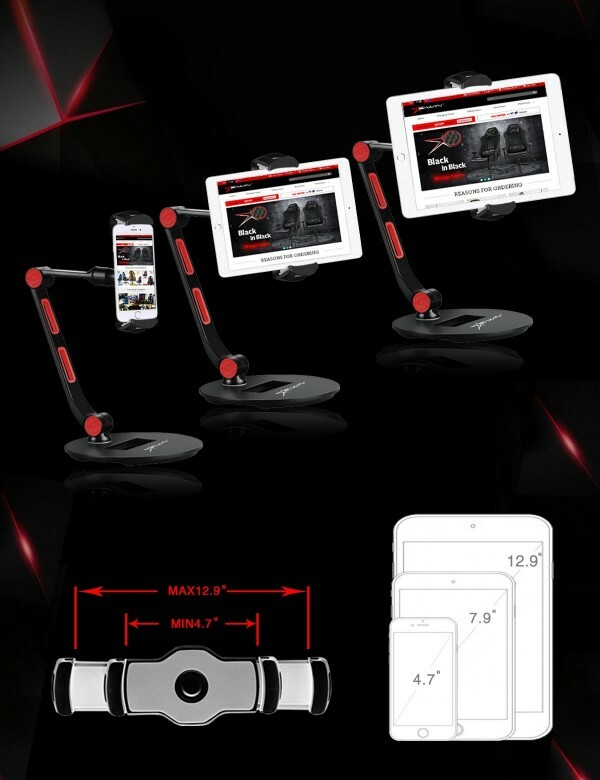 ➤ Perfect for desk/table top/car usage, giving you hands free use of your device. 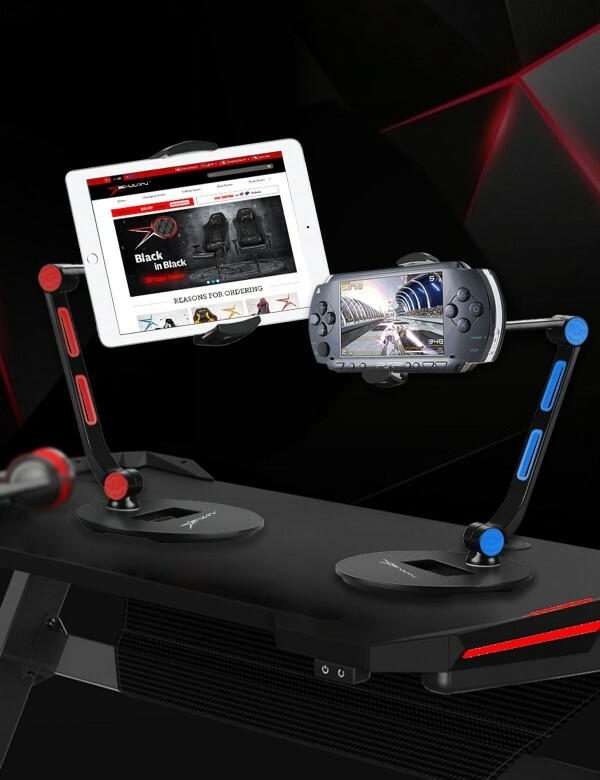 ➤ Easily collapsible and portable, you can take the stand from an in-car GPS holder to a desktop stand for watching movies or reading your favorite book. ➤ Detachable and replaceable head part. ➤ There is a groove below the base for the charging cable to pass. ➤ Fully adjustable: 360 degree rotation/fixed at any angle. 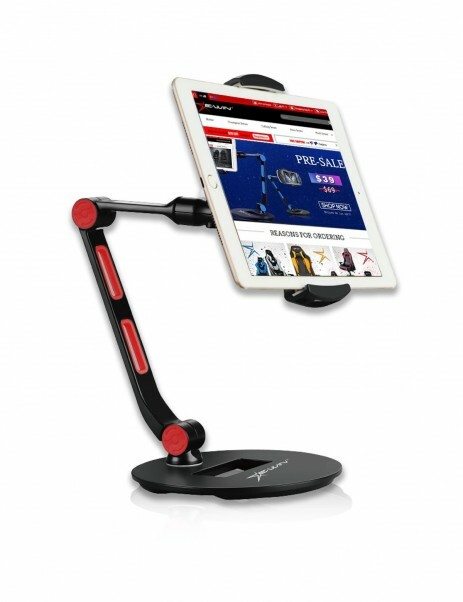 ➤ The heavy duty PUR tablet stand has 2.2 lbs maximum load capacity. 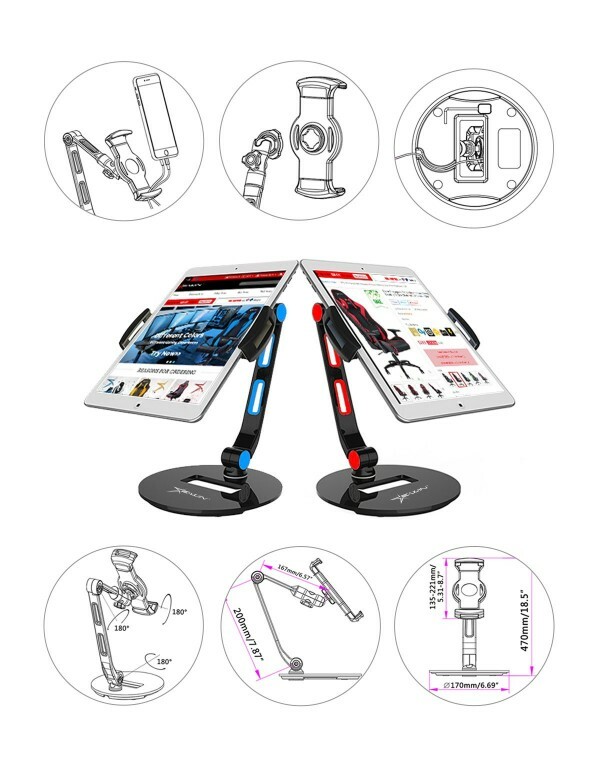 ➤ The tablet stand is with Heavy Metal Base and Aluminum Alloy arm. ➤ Arm length: 7.9’’ & 6.6’’(200mm & 167mm). Watching movies or reading your favorite book.